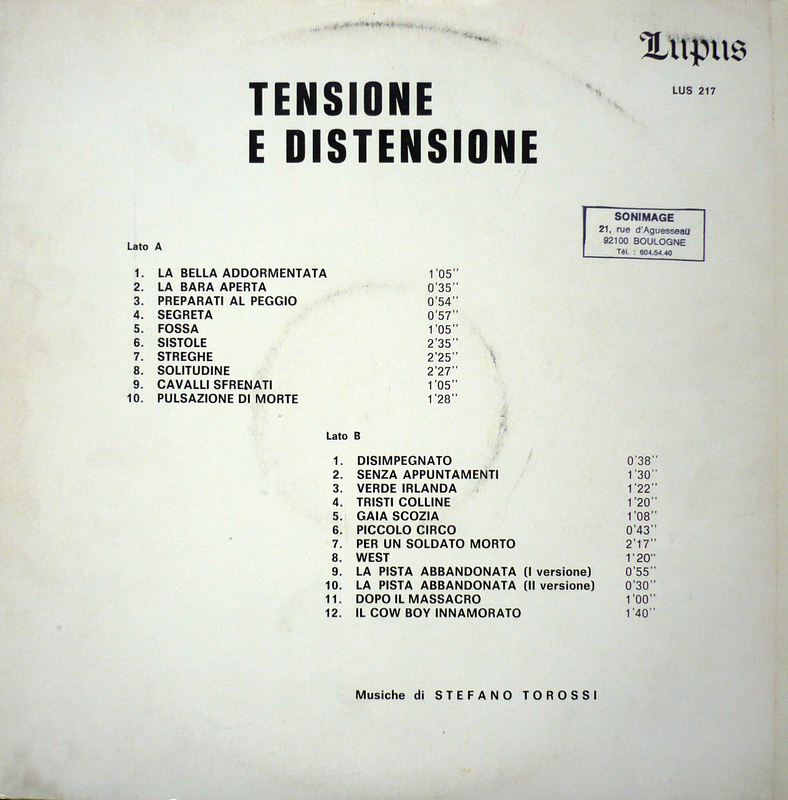 Around 1971-1972, Stefano Torossi composed music for Tensione e distensione, one of three albums he made for Italy’s Lupus Records. 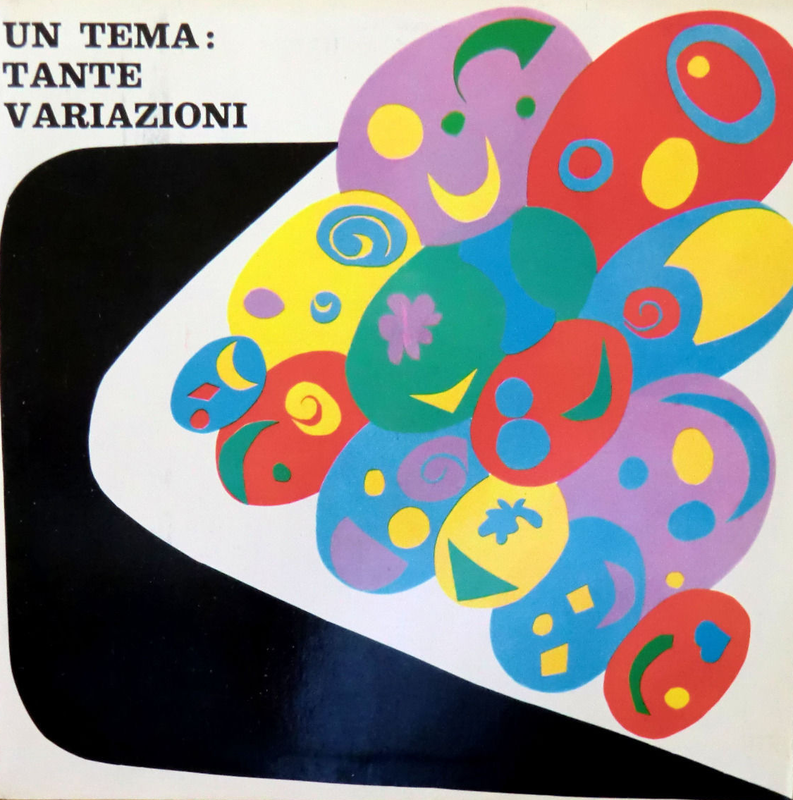 The library music album, like the two which preceded it Qualche tema lungo (1971) and Un tema: Tante variazioni (1970s) (under the alias Fotriafa), is an eclectic mix of classical, jazz, pop, and Italian psychedelia, all composed by Torossi. Tensione e distensione also includes a series of Western-themed tracks that together form what is effectively another Stefano Torossi soundtrack, a virtual one as the Western is one of the few genres he has yet to write a score for in his prolific career in music. 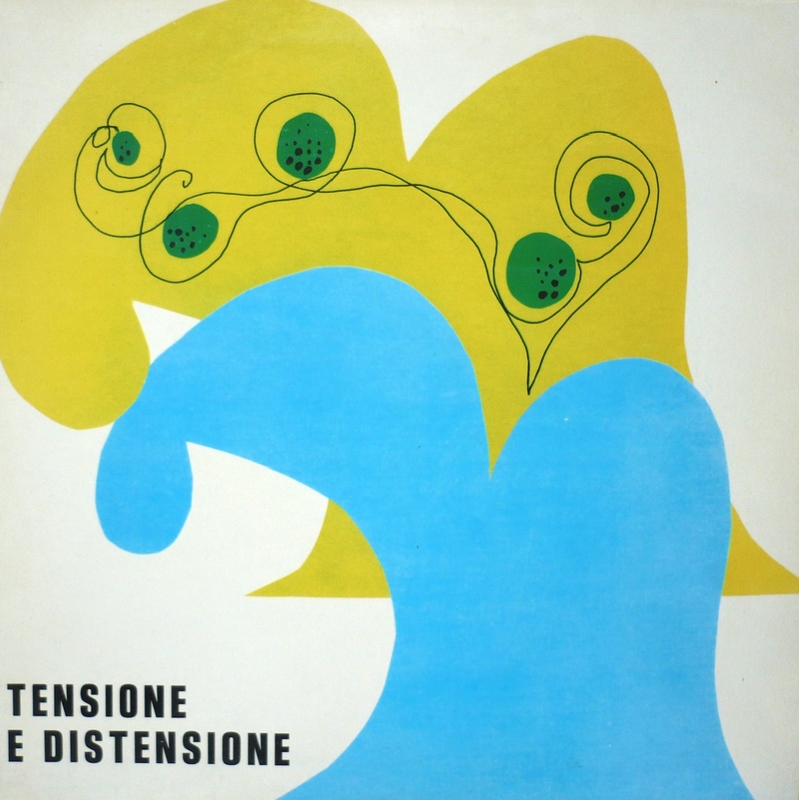 The ten cuts on side A include “La bella addormentata,” “La bara aperta,” “Preparati al peggio,” “Segreta,” “Fossa,” “Sistole,” “Stregh,” “Solitudine,” “Cavalli sfrenati,” and “Pulsazioni di morto.” Side B features eleven Torossi compositions: “Disimpegnato,” “Senza appuntamenti,” “Verde Irlanda,” “Tristi Colline,” “Gaia scozia,” “Piccolo circo,” “Per un soldato morto,” “West,” “La pista abbundonata,” “Dopo il massacro,” and “Il cow boy innamorato.” The last track features whistling reminiscent of Mr. Alessandro Alessandroni himself! Perhaps the fact Torossi co-wrote four compositions on Alessandroni’s Fischio in armonia for SR Records in 1970 (reissued shortly thereafter as Sifflons en harmonie on French label St Germain Des Pres) is no coincidence. 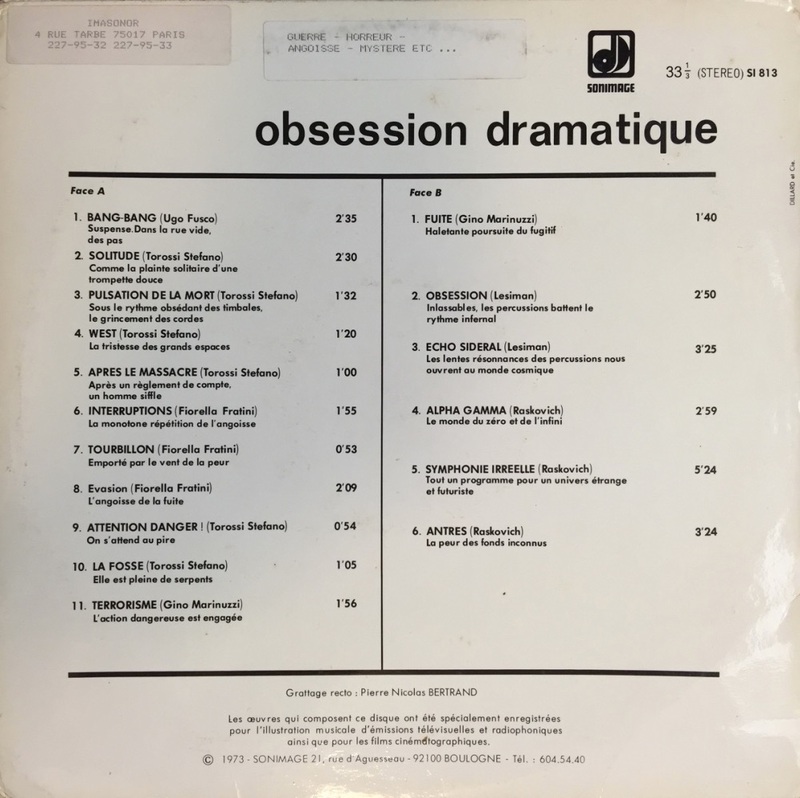 Ironically, although all three Lupus Records’ albums by Stefano Torossi are long out of print and nearly impossible to find, a used vinyl copy of Obsession dramatique is not too difficult to find. 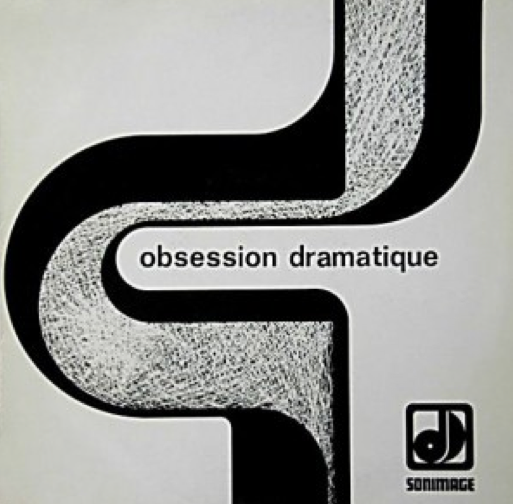 One more track from Tensione e distensione, “Fossa,” is included on Obsession dramatique. Stefano Torossi composed the short piece for use on a suspense film or TV program. Tensione e distensione also showcases a pair of Stefano Torossi’s psychedelic pieces, “Sistole” and “Streghe.” Another example of this experimental, free form side of Torossi to look for online is “Sud America,” a composition found on Un tema: Tante variazioni, the album Lupus released before Tensione e distensione. 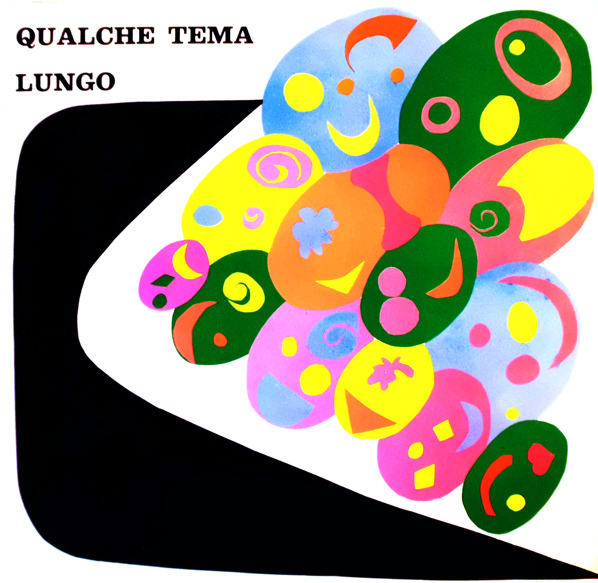 See the Albums section at the top of the Web page for feature articles on Stefano Torossi’s two earlier LPs on Lupus Records including the first one, Qualche tema lungo. Library Of Sound Grooves: Jazz Expressions From The Italian Cinema (1963-1975), a just-released two-LP set from Semi-Automatic Records, includes “Cheops & Nefertiti,” a track Stefano Torossi composed with Franco De Gemini that originally appeared on the soundtrack for Si puo’ fare molto con 7 donne released by Italy’s Beat Records Company. The vinyl release showcases some of the most talented composers and musicians to work on Italian films, with multiple contributions from Alessandro Alessandroni, Sandro Brugnolini, Stelvio Cipriani, Ennio Morricone, Armando Trovaioli, and Piero Umiliani. More information on the new, limited edition compilation is found at Discogs including a list of all 29 tracks. Note: If any legal rights holders object to the posting of these rare, out of print, and unavailable tracks ripped from this correspondent’s personal collection, please drop a line and they will be removed immediately. 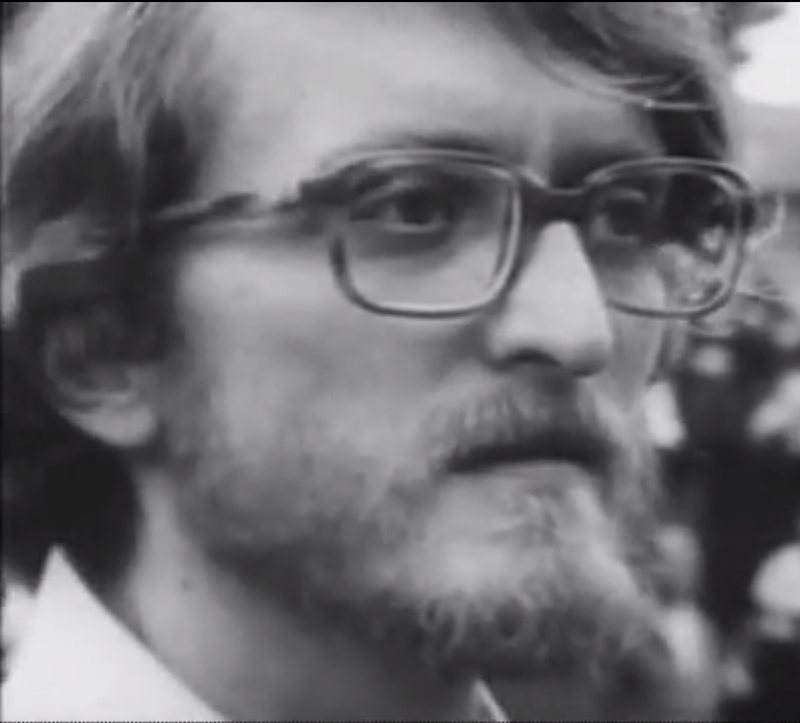 The following fifteen compositions and two excerptz are taken from seven albums released in or about 1971: a cut from Giancarlo Gazzani’s Musica per commenti sonori (CO 10006), an excerpt from Gazzani’s Musica per commenti sonori (CO 10007), both on Costanza Records, a track from Gianna Mazza’s La citta N. 2 on Fly Records, two cuts and an excerpt from Torossi’s Un tema: Tante variazioni on Lupus Records, one from his Qualche tema lungo on Lupus, and four from his Tensione e distensione LP on Lupus, and three from Torossi’s Michelangelo e il Rinascimento on Canopo.